We’re presenting our first annual report at our board meeting tonight. Download a copy here, or contact us to request a copy by post, in a different format or to let us know what you think. 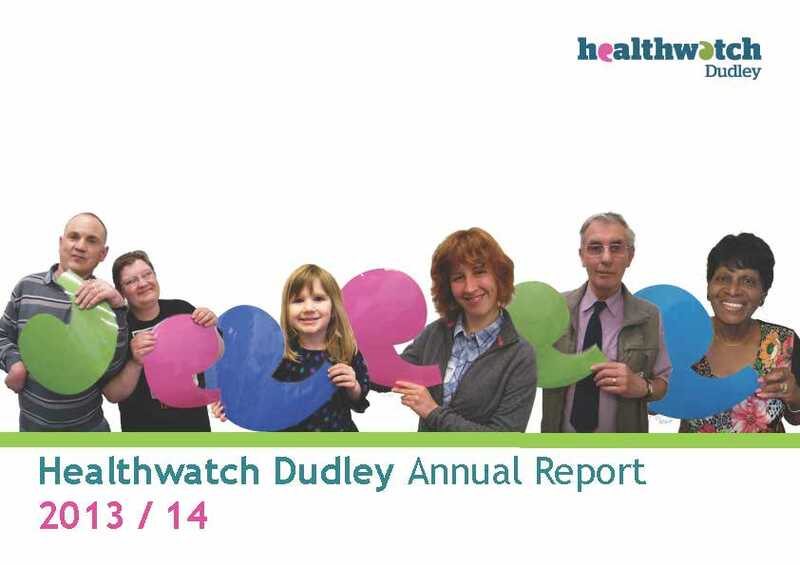 This entry was posted in Uncategorized and tagged annual report, Healthwatch on August 11, 2014 by Healthwatch Dudley.